Comment: Here is the initial high-point of our new pearl selection and, no surprise, the most complicated one. While the most exquisite pearls can cost as much as a villa on the beach, this is the best specimen I risked buying without knowing about undisclosed treatments. Other than ruby or diamonds, pearls do NOT routinely come with independant lab reports, so we had to do some pioneer work and dump a half dozen treated pearls in the toilet (no, kidding, we DID keep them, for the pigs, still kidding, they stay in a dark box with other treated misfits). Words cannot describe this South-Sea beauty's shape better than its images. 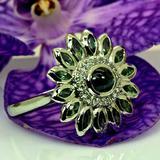 One may add, that the shiller or rainbow-sheen, could be compared to the play-of-color in some opals, but only faintly. 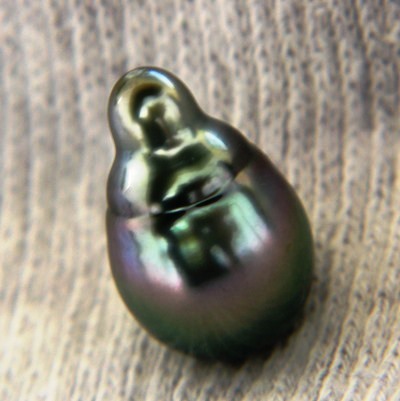 The GIA reports scanned under 'more images' states 'untreated cultured saltwater pearls' from the so-called black-lipped oyster. 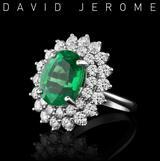 Its shape reminds of a Matryoshka doll, its surface is utterly flawless even under the lens, hues and tones reach from dark metallic green over pinkish purple to silver (a long trip). All this from a natural product, if helped by cultivating the oysters, without heat, dying, irradiation, coloring, or any other unnatural force. We have ditched the industry-wide common but utterly disordered, meaningless grading-system of AAA, AA, A and developed our own evaluating systems. 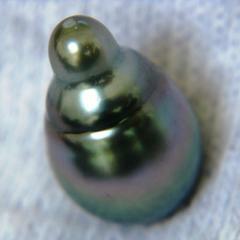 If you are a pearl connoisseur, I bet you dispise the AAA system as much as we do. Don't hesitate to give us feed-back on our initial grading system. 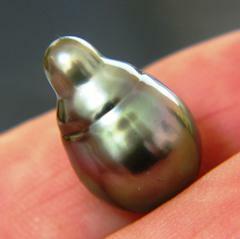 This giant pearl of almost 20mm height should go into a posh pendant. Some ring designs are possible but never simple. If we do the designing, our workshop covers the risk of drilling or any other setting stresses. Pearls are not as tough as most gemstones; hence they need kind and professional setting, plus careful handling in jewelry. Nothing to be done, but neither coral, ivory or gold for that matter are tougher.